I did this project in the summer of 2012. 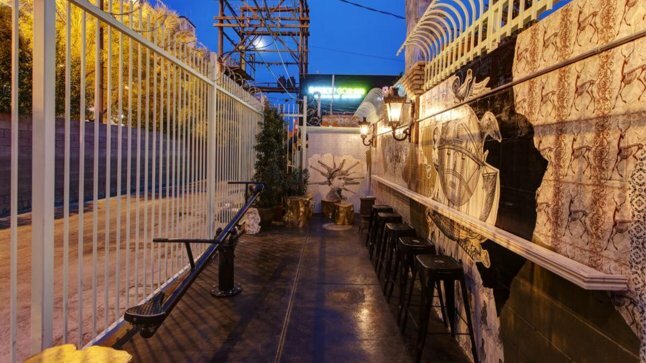 The location is at Park on Fremont, secret patio in downtown Las Vegas. Size is approximately 65 feet width by 14 foot high at the peak. 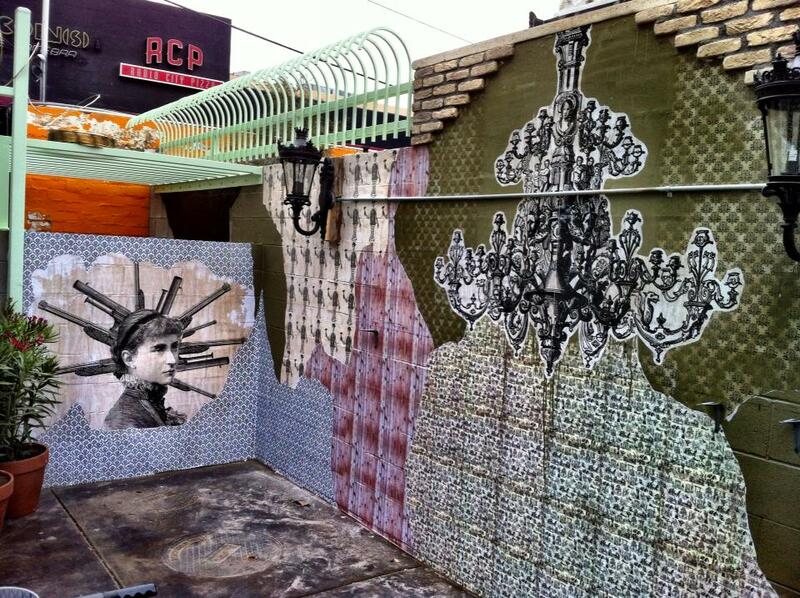 It was a mix media art installation using , wheat paste, paint and some graphic design elements. I really like the steam punk feel with a modern twist that it became. The last photograph was featured on the website http://www.thrilllist.com as a place to see in downtown Las Vegas. This entry was posted in Beer Zombies Art and tagged #beer, #beergeek, #beerme, #beernerd, #beerporn, #beerreview, #beerzombies, #craftbeer, #craftbeerlover, #dtlv, #lasvegas, #lv, #parkonfremont, #zombie, #zombies by beerzombies1. Bookmark the permalink.